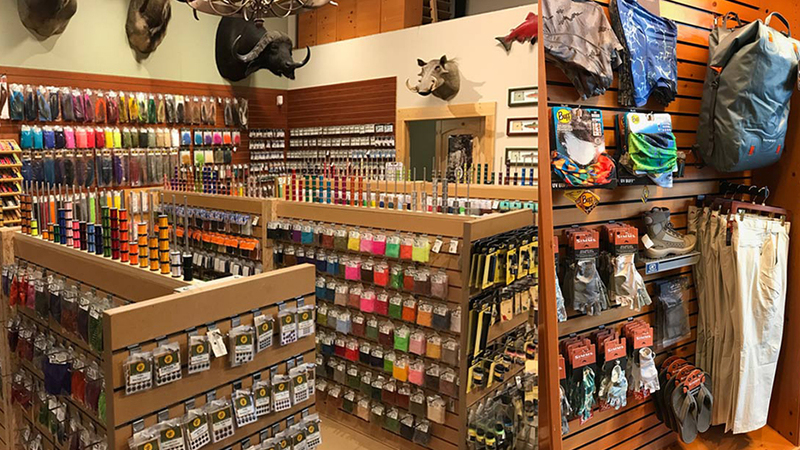 Appropriately located on the banks of the Deschutes River in Bend’s Old Mill District, Confluence Fly Shop is committed to making anyone and everyone into a fly fishing enthusiast. The store is well stocked with flies, rods and tackle for a great day of fly fishing in Central Oregon and their website features an array of fly fishing reports for 11 different rivers and sections of river, so you know what’s biting, what’s hatching and what rig you should be using. Confluence carries Sage rods and reels and Outcast floating devices. They host a variety of classes at their store, which you can book online, mostly held Tuesdays and Thursdays for people of every level to polish up their skills and develop new ones; they also hold private casting lessons. They offer a variety of guided trips, from single day fishing trips to multi-day camping trips. Confluence is an authorized Orvis dealer, so look for rods, reels, clothing, accessories and much more throughout the store. They are an authorized Simms dealer with a selection of waders, boots, gloves and accessories.